Looking for fine jewelry online? 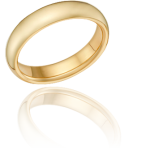 John C. Nordt, an ISO 9001:2015 certified company, is a leading manufacturer and supplier of precious metal products to the jewelry industry. However, we do not sell our products directly to the consumer. To see our craftsmanship, visit any fine jeweler Click here to read more. 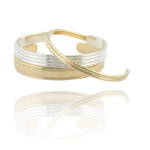 The classic simplicity of the unadorned precious metal band never goes out of style. With thousan Get more details. Nordt uses our FusionForged® technology to create a stunning range of bracelets. Our product des Get more details.